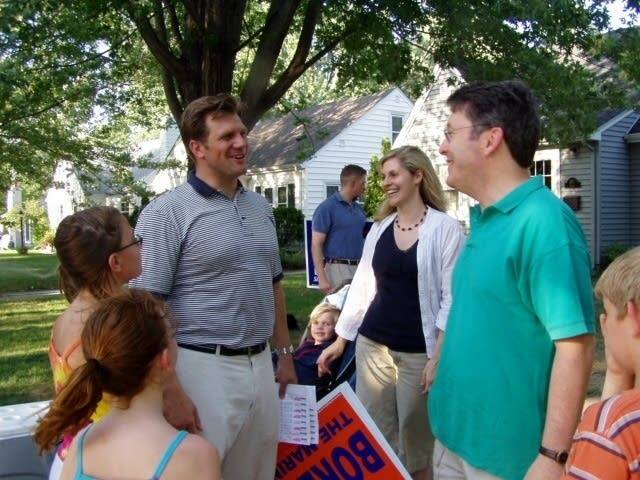 On the hottest day of the year, a couple dozen supporters of Andrew Borene milled around in the front yard of his Edina home. 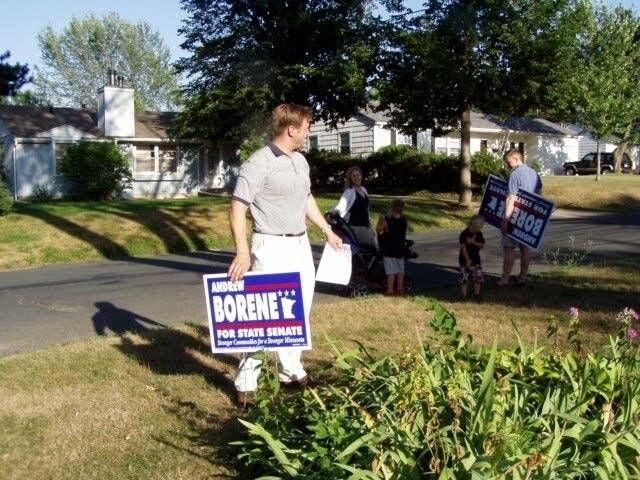 Before they loaded up with lawn signs, campaign literature and bottled water to hit the streets, Borene gave them a pep talk. "People keep trying to tell us that a Democrat's crazy to actually try to win this one," Borene said. Borene is a former Marine intelligence officer who served in Iraq, and campaigned as part of the group "Veterans for Kerry" two years ago. He said he's getting support from people across the political spectrum who want a new direction in the Minnesota Senate. Borene said Republican incumbent Geoff Michel doesn't fit this district, which includes the affluent suburbs of Edina and west Bloomington. Borene said Michel is a social conservative who signed a pledge supporting a constitutional ban on gay marriage, and a fiscal conservative who signed a no-new-taxes pledge. "I think that there's a real schism in the Republican Party, between the new breed, kind of George Bush - frankly, Geoff Michel - no-new-taxes, starve government to death, let's impose bans on abortion and everything else, and those kind of what we were used to from this district, and frankly, guys like Arne Carlson and Ron Erhardt and the ones who maintained kind of a social liberalism or social moderate policy," Borene said. Borene notes that state Rep. Ron Erhardt, R-Edina, who represents half of this Senate district, pushed for a 10-cent a gallon gas tax increase, and is the only House Republican left who supports legalized abortion. Borene said voters in the district are sick of local traffic jams, and concerned about transportation, education and health care, not social issues like abortion and a ban on gay marriage. Michel counters that voters in the district are not interested in political labels like conservative or liberal. He said they'll judge candidates by results. "I know that the residents of this district don't want to send just a warm body to St. Paul. They want to see you take some chances and lead," Michel said. "Lead within your party, lead within the entire Legislature. There are some of the smartest, brightest, most energetic people in the whole state, and they live right here." Michel said his district has more University of Minnesota alumni and faculty than any other in the state. Michel led the push for a new U of M football stadium that passed this year. He's also an assistant Senate minority leader, and a member of the Legislature's 2020 caucus focusing on the state's changing demographics. Michel said he doesn't think the residents of his district are single-issue voters who care only about his support for abortion restrictions or a constitutional amendment banning gay marriage. 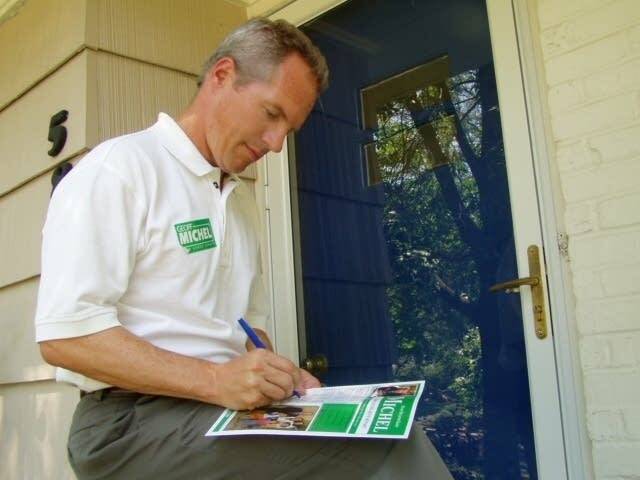 Like Borene, Michel has been dotting the district with lawn signs. On a recent afternoon, he stopped by the house of Laura Hemler, a stay-at-home mother of three boys. Hemler said she supports Michel's re-election bid because she agrees with him on lower taxes and leaner government. Hemler said she tells her friends that a vote for Andrew Borene is a vote for Senate Majority Leader Dean Johnson. "Sure, he looks good on paper ... but what exactly are you voting for?" Hemler said. "You get more than just him, you get the rest of the DFL leadership, and they're not in line with the values here in Edina." Michel notes that Democrats have controlled the Minnesota Senate for more than three decades, and says if voters are looking for change, they shouldn't elect another Democrat to the Senate. Borene objects to the idea that he would be in lock-step with Dean Johnson. "I would certainly hope that people would judge me based on my actions, not what pledges I sign, not what caucus I caucus with, and listen to what I really believe, and the things I want to do for the community," Borene said. "I'll never sell the community out for a special interest pledge because my family's here." 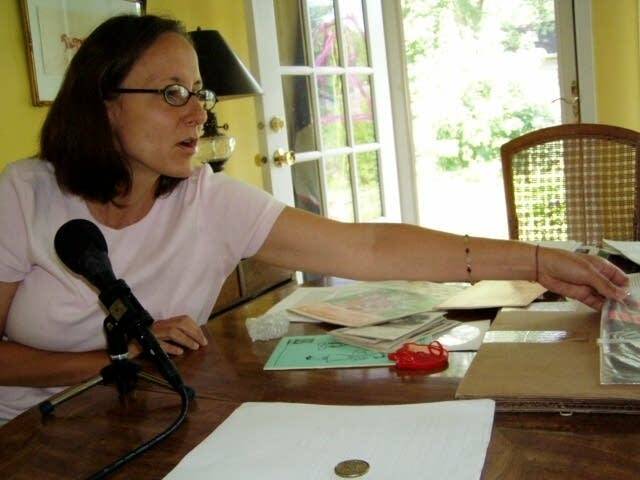 The Green Party candidate in the race, Julie Risser, said neither Borene nor Michel is talking about issues such as energy, the environment and single-payer universal health care. She's also the only candidate who opposed public funding for both the Gophers and Twins stadiums. Risser has been documenting her conversations with voters in a journal, and said the district's residents do care about those issues. "I had some people say, you know, I'm tired of both major parties, you're out doing what I should be doing, but you don't have a chance!" Risser laughs. "But you have to do something." The real question is what the voters will do. 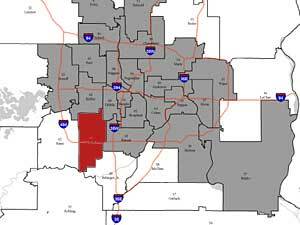 The results in November will indicate whether a solidly red suburban district is now changing to blue. Laura McCallum is the deputy news director for MPR News.